Sony has finally unveiled their latest flagship smartphone, the Sony Xperia XZ1 here in India. The Sony Xperia XZ1 comes with a Snapdragon 835 processor, 5.2-inch display, 4GB RAM, 64GB storage and Android 8.0 Oreo. First unveiled at the IFA in Berlin this year, the Sony Xperia XZ1 has now made its way to India. With flagship specifications, the phone comes with Sony’s Motion Eye camera and an HDR Triluminous display. It is one of the three smartphones launched by Sony in IFA 2017 held in Berlin last month. Starting with the build, the Sony Xperia XZ1 comes with a full metal unibody design featuring Sony’s Glass Loop Surface. This design language features a metallic alloy sheel that’s curved and rounded on the sides. The Xperia XZ1 packs a 5.2 inch full HD HDR Triluminous display with Gorilla Glass 5 protection. There are on-screen navigation buttons and the fingerprint reader is integrated into the power button. The phone comes with Android 8.0 Oreo installed out of the box. In the optics department, you get a 19MP rear camera with f/2.0 aperture and an Exmor RS sensor. It comes with predictive capture and 5-axis stabilization. The front camera comprises of a 13MP wide-angle lens with f/2.0 aperture. In terms of hardware, the Sony Xperia XZ1 is packing a Snapdragon 835 octa-core processor coupled with an Adreno 540 GPU. This combination is complemented by 4GB RAM, 64GB onboard storage with microSD card expansion option. Backed by a 2,700 mAh battery with Qnovo Adaptive charging and Quick Charge 3.0 support, the Sony Xperia XZ1 is a dual SIM 4G VoLTE smartphone. Other connectivity options include dual band Wi-Fi, Bluetooth 5.0 with aptX HD, GPS, USB 3.1 with Type C, and NFC. 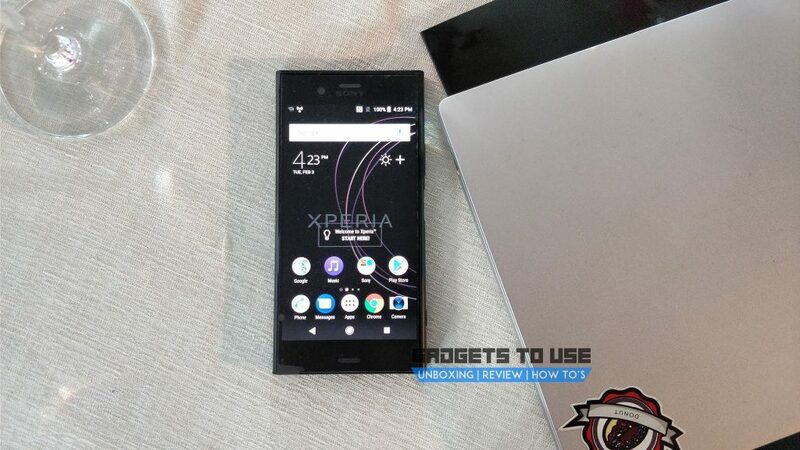 The Sony Xperia XZ1 is available online as well as offline at a price of Rs. 44,900 and will be available in Black color option. The phone comes with attractive financial offers from Sony. It comes with Zero down payment, zero interest cost, and zero processing. You also get a 5% cashback on from HDFC bank debit/credit cards, or ICICI bank credit cards.